Continuing its quest to eliminate the mundane tasks of life, Amazon has made a streaming TV device with Alexa that can change the channel without a remote. The company unveiled on Thursday its newest TV streaming device, the Amazon Fire TV Cube -- part Amazon Echo smart speaker, part Fire TV, and part remote control that you can't lose in the sofa. The box, available for purchase starting June 21, is a ramped up version of Amazon's Fire TV streaming devices that also has always-listening microphones for Alexa. The Cube will also let you use voice commands to control other devices that have their own remote controls, such as set-top boxes and sound bars. They can adjust the volume on compatible TVs, switch inputs, change the channel and power on and off by using their voice. Fire TV users could already use their voices to make requests by holding down on the remote, but this is the first time it's entirely hands-free. 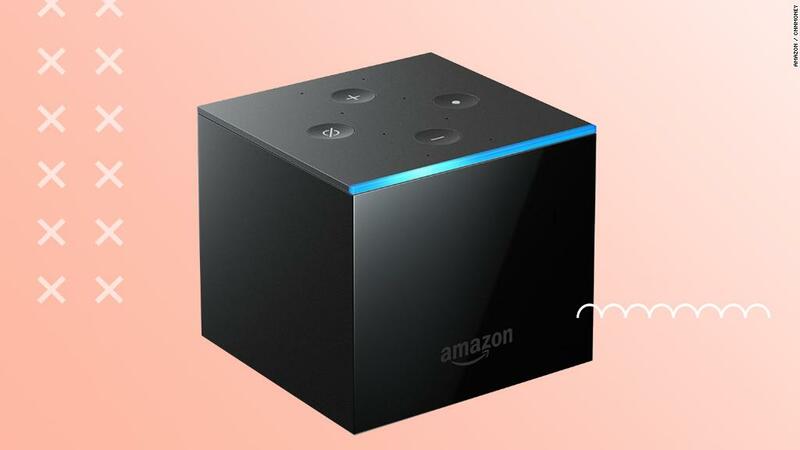 It was also possible to control a TV through an Amazon Echo, but the Cube adds more Alexa powers such as the ability to open third-party apps and starting a show where it left off. After making a request for, let's say, the Real Housewives of New York, the Cube will respond by serving up the user's cable, satellite box or some streaming apps. The Cube will cost $119.99, but Amazon is offering it for $89.99 to Prime members until Friday. Taking a cue from its name, the boxy device is neatly packaged -- standing 3.4 by 3.4 by 3 inches -- and supports 4K Ultra HD. There are eight always-listening microphones for Alexa and 16 GB of storage for apps. It comes with a remote in case you'd rather not announce the name of the show you're watching to other people at home. Similar to Amazon's existing Fire streaming sticks, the Cube supports popular video apps, such as Netflix and Hulu. Amazon (AMZN) tweaked its Fire TV user interface for the Cube to make it a "more natural way to navigate," the company said in a statement. This means users can ask Alexa to find sci-fi movies, play movie trailers or show more results. Also, because it's an Echo speaker at its core, it can do all the basics like say the weather or re-order toothpaste on Amazon. Patrick Moorehead, a principal analyst at Moor Insights and Strategy, told CNNMoney consumers will likely "eat it up" due its attractive price point and capabilities. It will also "put pressure" on its closest competitors, such as the Apple TV, to add similar capabilities for a lower price.